Actor Abhishek Bachchan delighted his fans and followers on social media with yet another wonderful picture. The 41-year-old actor, who keeps everyone updated with a throwback picture every Thursday, shared a family photograph in which he is just a few days old and cradled in the arms of his grandmother. The picture was taken on the day when he was brought home for the very first time. 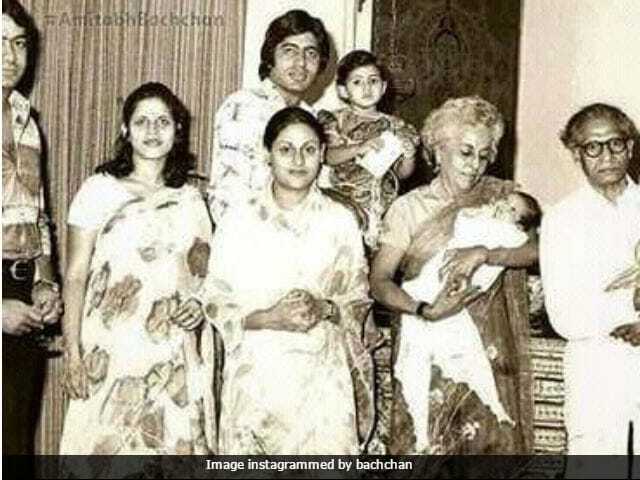 In the picture, we can see Amitabh Bachchan with daughter Shweta, Jaya Bachchan, Big B's parents Harivansh Rai Bachchan and Teji Bachchan and his brother Ajitabh with his family. "#throwbackthursday the day I was brought home for the 1st time from the hospital. That's a-couple-of-days-old me in my dadima's arms," wrote Abhishek Bachchan. On Tuesday night, Amitabh Bachchan posted a picture of himself with wife Jaya Bachchan, son Abhishek and daughter-in-law Aishwarya Rai. In the picture the Bachchans were all smiles. Earlier this week, Big B shared a few throwback photos of Abhishek and his Allahabad home. See the pictures here. Last week, Abhishek Bachchan shared a nostalgic picture in which he was seen embracing Amitabh Bachchan. In the picture, the father-son duo was seen having a great time in the lawn. Take a look at some more wonderful throwback pictures shared by Abhishek Bachchan. Since @amitabhbachchan posted a photo us post his Coolie accident whilst recovering at home, here's another.... Taken on the same day. Abhishek Bachchan was last seen in 2016 movie Housefull 3, co-starring Akshay Kumar, Riteish Deshmukh, Jacqueline Fernandez, Nargis Fakhri, and Lisa Haydon. 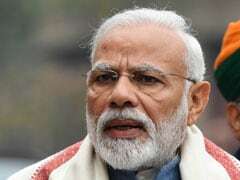 He has been roped in by Nishikant Kamat for his next venture. The Paa actor is also committed to working with Ronnie Screwvala in his next directorial venture. His other upcoming films are - Priyadarshan's Bachchan Singh and Prabhu Deva's Lefty.